The Amawtakuna constituted a special class of wise men similar to the bards of Great Britain. They included illustrious philosophers, poets, and priests who kept the histories of the Incas alive by imparting the knowledge of their own culture, history, and traditions throughout the kingdom. Considered the most highly educated and respected men in the Empire, the Amawtakuna were largely entrusted with educating those of royal blood, as well as other young members of conquered cultures specially chosen to administer the regions. Thus, education throughout the territories of the Incas was socially discriminatory, barring the rank and file from the formal education that royalty received. The Amawtakuna did ensure that the general population learned Quechua as the language of the Empire, much in the same way the Romans promoted Latin throughout Europe. According to Fray Martín de Murúa, a chronicler of the time, the education of the young novices (yachakuq runa, in Quechua) received from the Amawtakuna began at age 13 in the houses of knowledge (Yachaywasi in Quechua) in Cuzco. The Amawtakuna used their erudition to teach the young novices of the empire about Inca religion, history and government, and moral norms. They also ensured a thorough understanding of the quipu, the Incas' unique logical-numerical system which used knotted strings to keep accurate records of troops, supplies, population data, and agricultural inventories. In addition, the young men were given careful training in physical education and military techniques. Most Inca novices finished their education at around age 19. After passing their examinations, the young men would receive their wara (a special type of underwear) as proof of their maturity and virility. Their education ended with a special ceremony, attended by the Empire’s oldest and most illustrious Incas and Amawtakuna, at which the new young nobles, as future rulers, demonstrated their physical prowess and warrior skills and proved their masculinity. The candidates were also presented to the Inca sovereign, who pierced their ears with large pendants and congratulated the young aspirants on the proficiency they had shown, reminding them of the responsibilities attached to their station (and birth, in the case of members of the royalty) and calling them the new "Children of the Sun." Some historians and authors have pointed to feminine schools ("Aklla wasi", in Quechua) for Inca princesses and other women. It is believed the education given at the Acllahuasi in Cuzco was much different from that given at the other Acllahuasis in the provinces of the empire. The women learned Inca lore and the art of womanhood as well as skills related to governance, but on a limited scale in comparison to the men. Other skills included spinning, weaving, and chicha brewing. When the Spanish chroniclers and conquistadors arrived they viewed these institutions as the Inca version of the European nunnery. 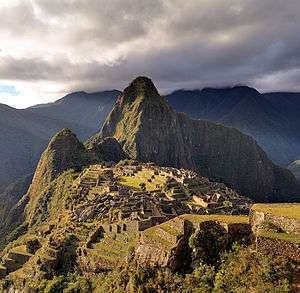 Like the men, women were brought into the Acllahuasis from faraway villages throughout the empire after being specifically chosen by Inca agents. After finishing their training, some women would stay to train newly arrived girls, while lower-ranking women might be chosen to be secondary wives of the Sapa Inca, if he wished it, or be sent as rewards to other men who had done something to please the sovereign. The general population of the Inca Empire did not go to formal schools like the nobles did, and they did not have access to the scientific or theoretical knowledge of the Amautas. The education of the common person was largely based on the knowledge transmitted by their elders, such as practical education in the aspects of agriculture, hunting, fishing, and stonework, as well as religion, arts and morality. This type of knowledge was passed on by the fathers and eldest family members through the generations. Even without the benefit of Amawtakuna knowledge, it was the general population that was responsible for building most of the Inca road system, rope bridges, water fountains, agricultural development, irrigation systems, massive stone buildings, fortress temples and the rest of the impressive architectural and engineering marvels for which the Incas are still renowned today.